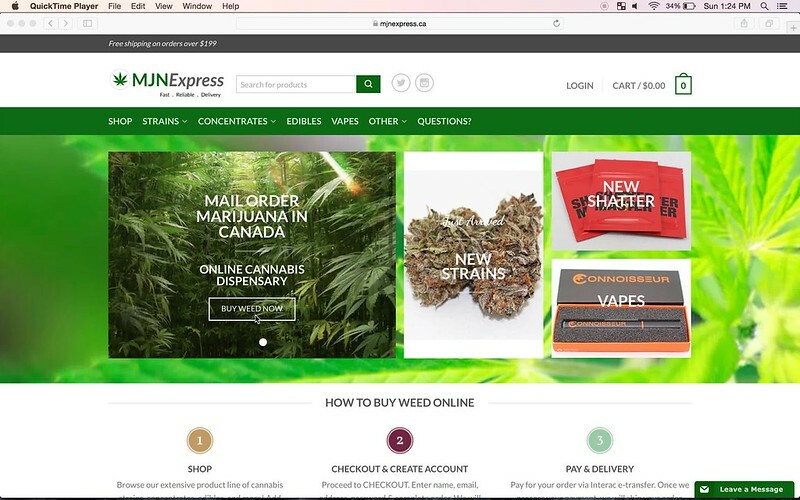 Buy Weed Online Quebec | Sign up for FREE bonus 3.5 grams! Bonjour, if you’re looking on how to buy weed online Quebec – look no further than this. We will give you a breakdown below, to ensure you understand that the best way to purchase cannabis is to, buy weed online. Firstly, we encourage you to click here to browse our shop and find the products you’re looking for. From Montreal, all the way down to Gatineau and Laval, we have seen Quebecois ordering weed online. They have turned their focus away from shopping in dispensaries at increasing numbers. We asked a few of our Quebec customers why they decided to buy weed online, and what exactly drew them to mail order marijuana. The cannabis strains are more potent outside of Quebec. Greater variety and selection available online. The biggest reason in the future, is the ability of citizens to buy weed online has been included in their legislation for the upcoming legalization. Quebec recently stated it would prefer a delayed timeline for legal recreational marijuana. Looking for more time to prepare, the premier Philippe Couillard said that a delay would be best for the province. Like any province, Quebec has its long history of weed consumption, when outlining the details of their marijuana bill, the government decided to stay with what they’d done for weed. The legal age to buy and possess marijuana in Quebec will be 18. No one will be allowed to grow cannabis for personal use. It will be banned to grow for commercial use, unless following government law. It is prohibited for an adult to possess in a place other than public, more than 150 grams of dried cannabis. It must be smoked where tobacco is smoked. There will be a zero tolerance policy on driving under the influence, and police will request a saliva sample if uncertain. Everything else? Well Quebec has said that requires flexibility, and of course, moving the date would help them. With 840 points of sale for Alcohol across Quebec, by contrast, they are only opening 15 dispensaries for the entire province. Quebec’s radical approach to marijuana is sure to stifle entrepreneurship and ensure that the black market thrives, as they have not made their laws with the consumer in mind. How could that few stores possibly service the amount of consumers, moreover, their restriction of private growing means that these individuals will need to take alternative measured. Quebec is known for selling booze in corner stores, and the lowest age limit across Canada, for a progressive province the marijuana laws don’t align with the public perception that surrounds their culture. An estimated 1.2 million consumers of weed live in Quebec, and we are certain that moving to buying weed online will be a logical step for everyone. Montreal, home of the incredible Olympic Stadium, the NHL team that blew away the world by exceeding expectations a few years ago Canadiens, and the world renowned McGill University. The passionate community of people who live there, and diversity in culture is what makes this province stand out to the world when they look at Canada. Or is it the poutine? It’s hard to tell how one province has made themselves such a strong identity over the last century but it’s inspiring. Visitors can’t help but be mesmerised when walking along the cobbled stones and hearing the bi-lingual locals live side-by-side comfortably. If you live in Quebec, you know that it can get cold. If one of the 15 proposed dispensaries are not nearby, there may be times you have to trudge through snow up-to your knees. In -30, we think we’ll pass on walking to a dispensary. When you can wait just 2-3 days and have cheap weed online delivered to your door, it is a no brainer which you should be doing. Statistics Canada has reported that of all the provinces in Canada, Quebec has the cheapest weed. Canada’s average cost sits at $6.83 per gram, which the rest of the world is surely envious of. But in the current white, black, grey market the competition has enabled the price to drop this low. There’s a lot of uncertainty around whether or not prices that low will continue. If there’s a monopoly on weed you can be absolutely certain that pricing will be dictated by the government and once taxed will be closer to $10. 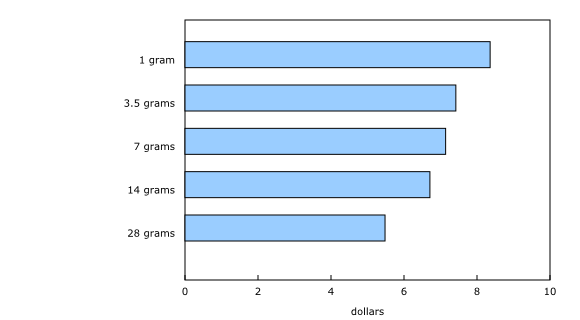 As it stands, below are the provincial prices for a single gram. There you have it, a breakdown of pricing for you to think about. We always recommend buying in bulk, when buying a half ounce, or a whole ounce you will be paying much less per gram. As you can see, it’s all about quantity. Marijuana, if sealed in an airtight container has incredibly long shelf life so that’s also something to consider. It’s always better to buy too much, because if you buy too little you’re going to over pay. Another good part of buying weed in Quebec are the sights. You can sit down in some of the most historic sights in Canada, take in the crisp air and feel the culture. Walk on the streets that founded Canada as we know it today, and smoke a little joint to make the experience that much sweeter. Or be more considerate for others and inhale a vape. We would recommend Platinum Vapes, if you’re looking for a high quality discrete vaporizer. Although, we’re not going to recommend you smoke in public, and of course – medical marijuana only until the recreational weed is legalized! We are always there to help, and make sure that your experience buying weed online is as smooth as possible. If you’re looking to convince friends or family of the benefits, because perhaps they’re a bit behind in understand about marijuana and the benefits of buying it online. Then share this infographic with them – hopefully it can help!